With an improvement in the weather - it has been good to get out and enjoy the fresh air and sunshine. 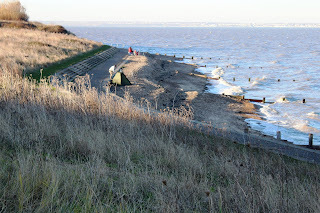 I visited the Isle of Grain yesterday for a stroll around a section of woodland in Grain Coastal Park. 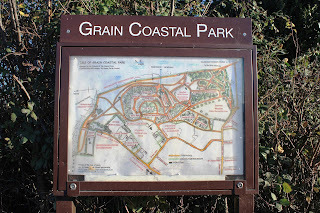 Grain Coastal Park is a great place to visit with many different types of walk offered - walks to suit all preferences. The nearest public toilet is in Lower Stoke (Grain Road). When I formed the Hoo Clean Up community litter picking event back in January 2012 I didn't think it would still be regularly taking place seven years later. 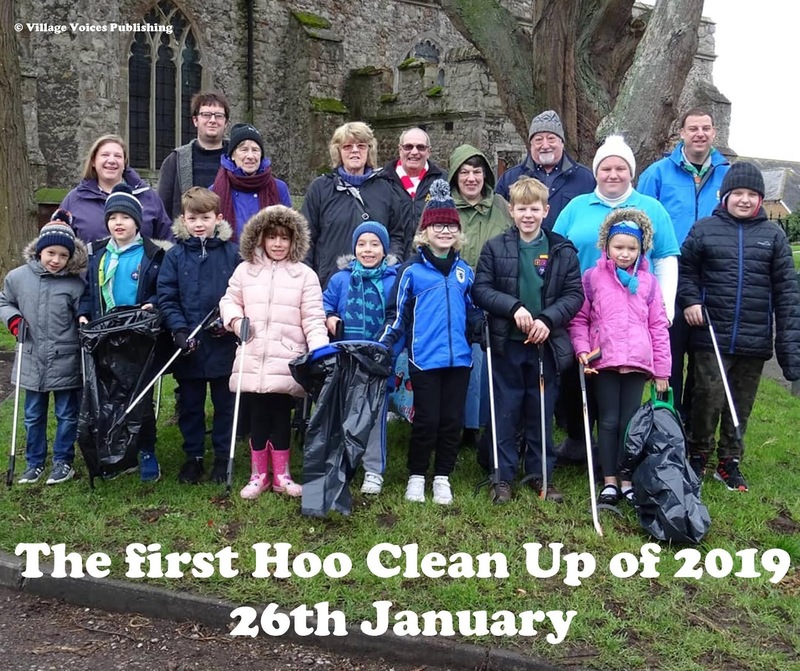 A team of Hoo residents last month marked the seventh anniversary of the Hoo Clean Up at the group's first litter pick of 2019. The volunteers were joined by a group of enthusiastic beavers (and cubs and scouts) from 50th Medway Towns (Hoo) Scout Group (all pictured below). The Hoo Clean Up wasn't formed to provide a litter picking service, or to highlight any failing in service by Medway Council (or its contractors). 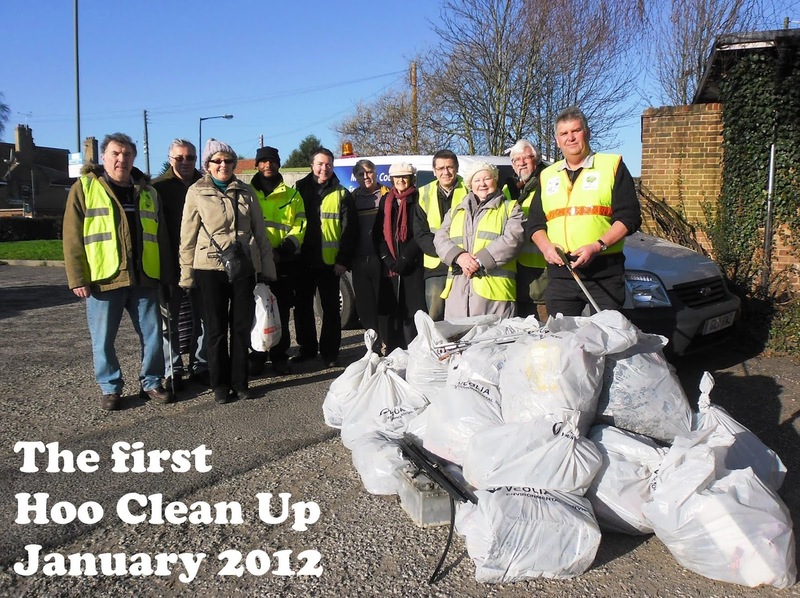 It was formed to highlight a growing problem of residents (of all ages) who needlessly drop litter. I am pleased to say that I have attended all but two or three events since January 2012. 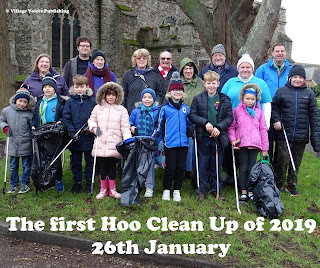 If you would like to take part - the volunteers in Hoo meet on the last Saturday of every month (except in April and December) at 9.30am, outside Hoo Library (Church Street, Hoo , ME3 9AL). The session is followed by free refreshments (sponsored by the Village Voices Community Magazine) back at Hoo Library. I took the below photo (and many others) back in 2011. It shows World War Two anti-tank obstacles (Dragon’s Teeth) near Grain beach. 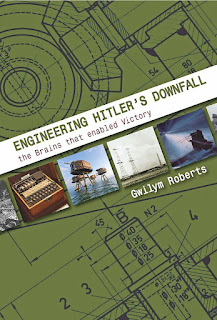 The history of these defences (as well as one of my photos), along with other initiatives deployed during the Second World War, are featured in a book by Gwilym Roberts called Engineering Hitler’s Downfall. 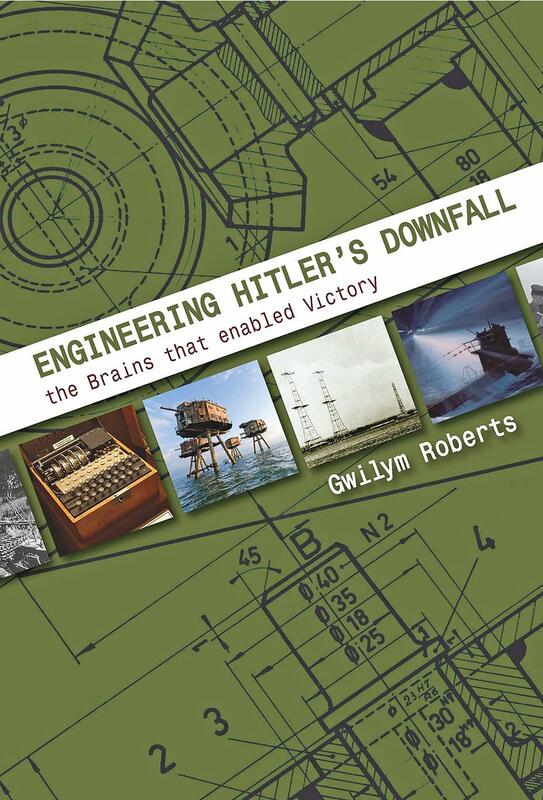 It was published late last year and includes a Forward by Admiral Lord West. You can purchase the book online (for £18.99) by clicking here. If you'd like to take a look at my original post from February 2011, click here. 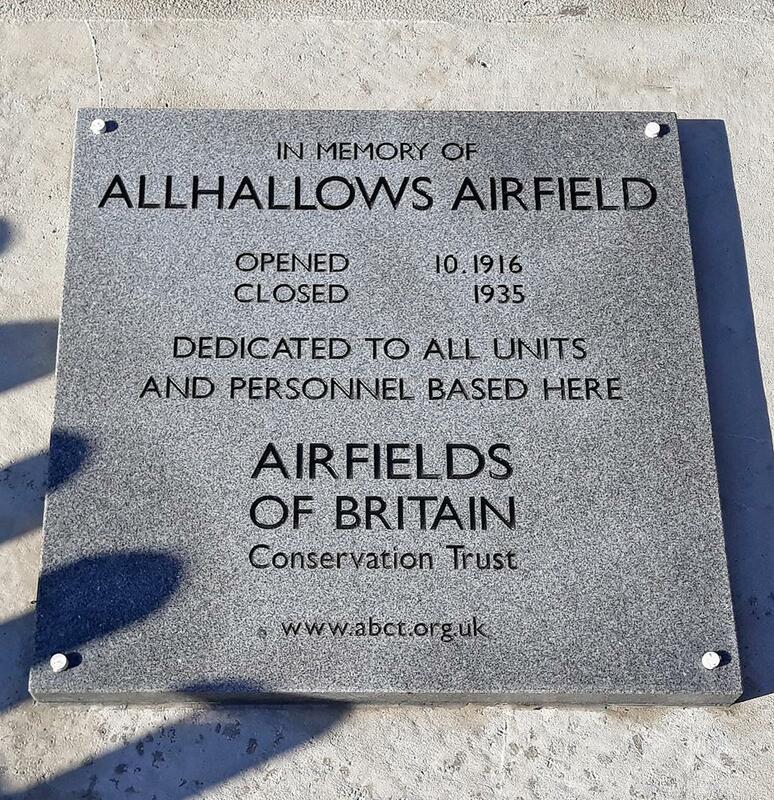 During the many Armistice centenary commemorations last November, Lt. Col. Fred Beringer (retired) unveiled a plaque to mark where RAF Allhallows once stood. The plaque, pictured below, was created by the Airfields of Britain Conservation Trust and is located outside Allhallows Village Hall - the airfield was nearby - on what is today neighbouring farmland. The airfield was active between 1916 and 1935. Various fighter types from ‘No. 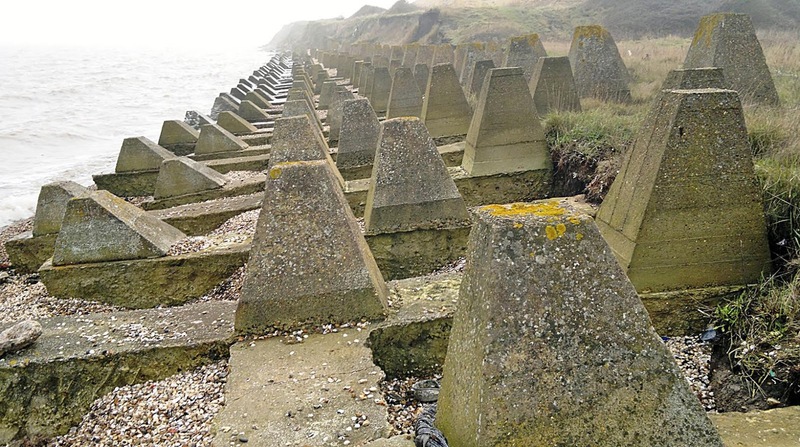 50 Squadron’ initially used the airfield, as a Home Defence landing ground during World War One. By the late summer of 1918 ‘No. 143 Squadron’ had taken charge of the site, with Sopwith Camels remaining in service for this unit after the end of fighting, although Sopwith Snipes had begun to replace them during 1919. 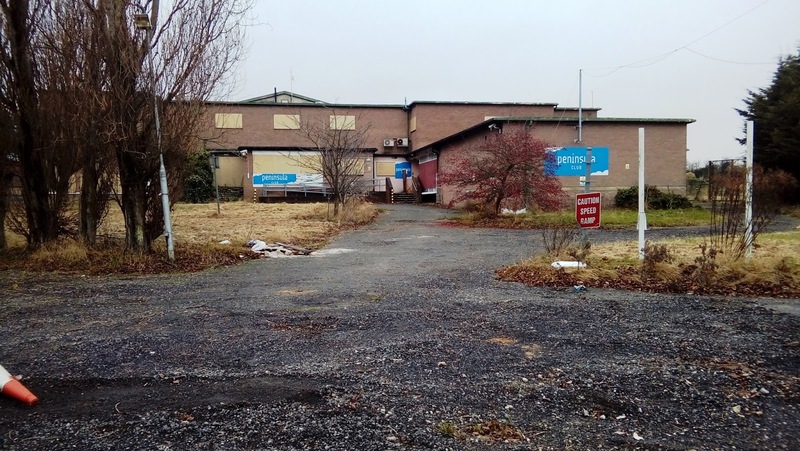 The Airfields of Britain Conservation Trust is now planning to install a memorial in Hoo, at the site of what was RNAS Kingsnorth (RAF Kingsnorth), active between 1914 and 1921. 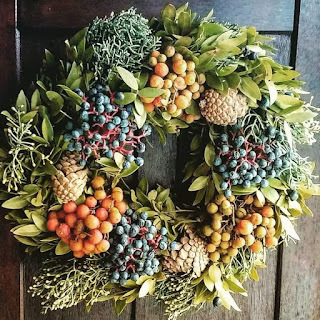 I hope you have an enjoyable and relaxing Christmas. 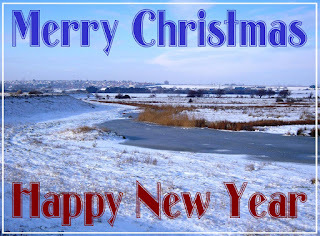 If you'd like to see how wintry the Hoo Peninsula landscape looked back in 2010, click here for some photographs. 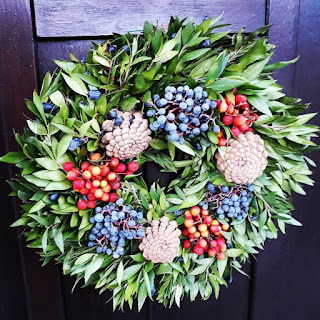 Here's a photo of a lovely looking Christmas wreath - now hanging on my front door. I bought it from Homeleigh Garden Centre in Hoo (on the Ratcliffe Highway). I like the style - the birds seem to appreciate it as well. 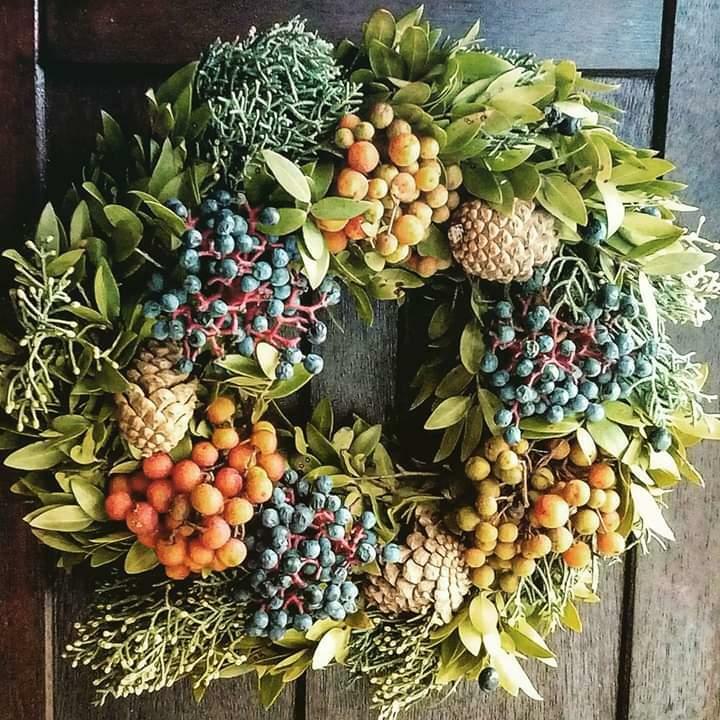 The wreath I purchased last Christmas (below) was very similar and was also a big hit with the birds. I visited a number of local communities during the Armistice Centenary weekend earlier this month - to see the commemorations to mark the end of the First World War. I ended my touring on the evening of Sunday 11th November at the site of the old Grain Fort, on the Isle of Grain, where St. James (Isle of Grain) Parish Council had organised the lighting of a special beacon, in conjunction with St. James Church and Kent Fire & Rescue Service (Grain). The event was well attended by villagers, and was part of the nationwide 'Beacons of Light' tribute/commemoration. The above image is poor quality, but I only had my phone camera available. To give you a better idea about what the Beacon actually looked like - here's a clearer image of one. 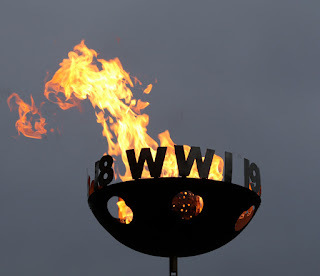 The Beacons symbolised the 'light of hope' that emerged from the darkness of four years of dreadful war. Today I am remembering my ancestors William Stephen Watson (killed in 1917 aged 21) and Harry Stratford (killed in 1917 aged 24) from Lower Stoke and St. Mary Hoo on the Hoo Peninsula. William and Harry (who were cousins) were my great grandfather's nephews - making them my first cousins twice removed (or something very similar). I will never forget my visit in 2011 to Northern France. 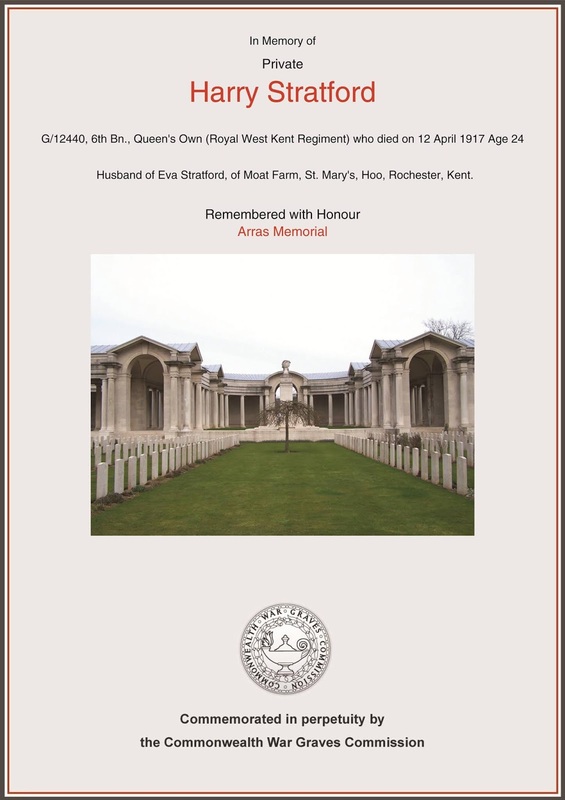 I’ve written before about my local ancestors William Watson (from Stoke) and Harry Stratford (from St. Mary Hoo), who were killed during the First World War. Next month will be the centenary of the end of the First World War (Armistice). You’ve probably already heard about many activities, events and commemorations taking place across the country. The Royal British Legion, in partnership with the Commonwealth War Graves Commission, has developed something called Every One Remembered, a project to individually commemorate over one million Commonwealth service men and women who were killed during the First World War. The losses were felt in almost every town and village in the UK and throughout what was then the British Empire. 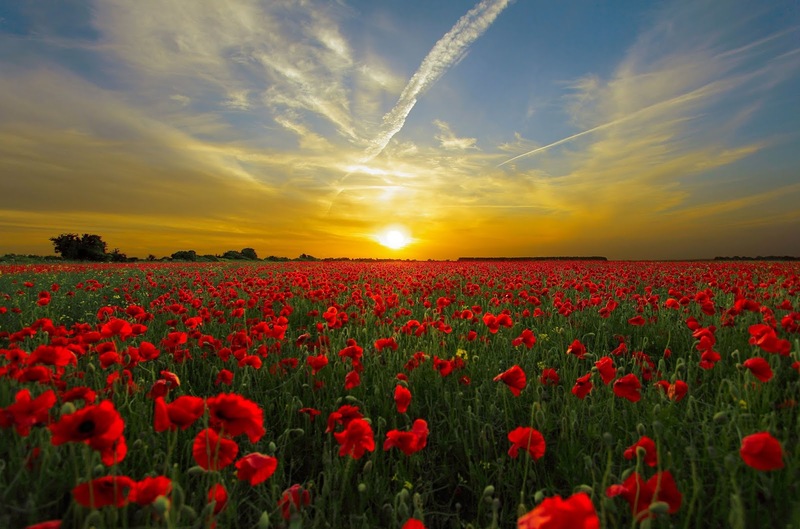 Every One Remembered is an opportunity for you to be part of a great collective act of Remembrance. I believe the project is only accessible online, so if you’re not online you’ll need to enlist the help of a friend or family member. Then visit the dedicated website where you can choose to commemorate someone you know - a relative or person on your local war memorial - or commemorate someone randomly selected for you. There is also an optional opportunity for you to make a donation to support the Royal British Legion’s work with the Armed Forces community. I’ve added an entry for my ancestor William Stephen Watson. He lived in Lower Stoke on the Hoo Peninsula. It only took a few minutes to complete the entry. I couldn’t add a photo of William as I don’t have one. I only have a brief description of him on his military record - I sadly don’t know what he looked like. 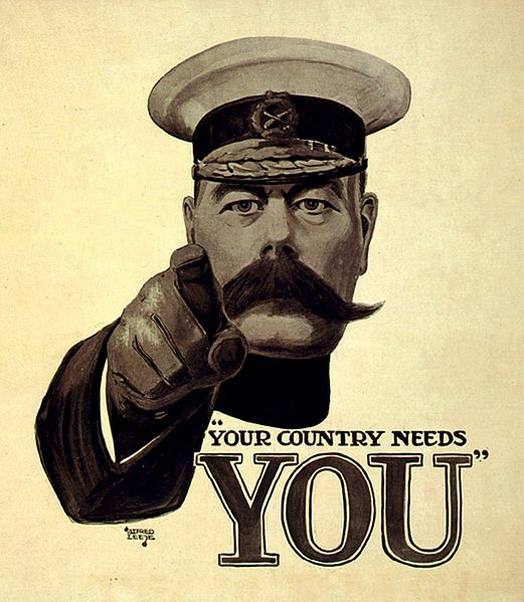 If you’d like to share photos and stories about any local ancestors who fought in the First World War please get in touch using the contact panel on the right. 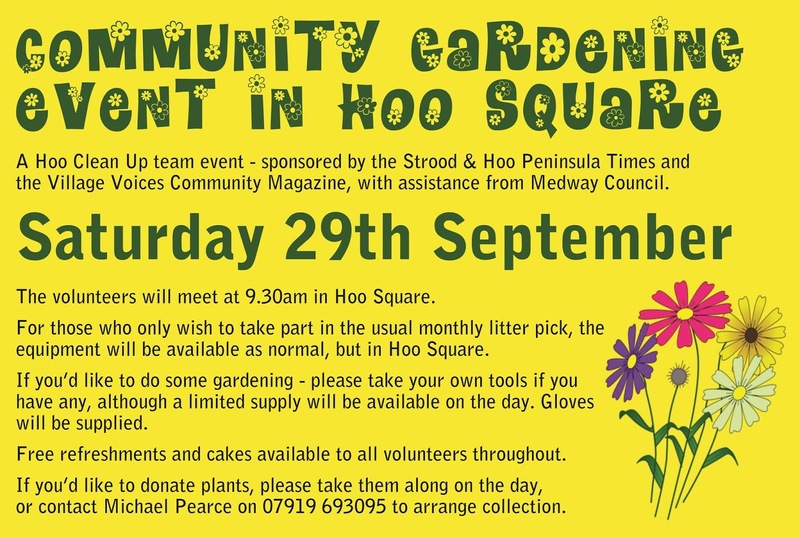 I'll be joining other volunteers from Hoo this Saturday at the Hoo Clean Up annual community gardening event, albeit I will mainly help with litter picking (as much as I like to visit gardens, I'm not really a gardener). The event is once again being supported by the quarterly Strood & Hoo Peninsula Times and the monthly Village Voices Community Magazine so there'll be plenty of cakes and refreshments throughout. 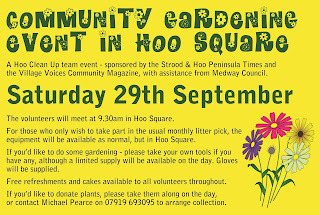 If you decide to pop along - take some plants if you have any that you'd like to donate and some tools. 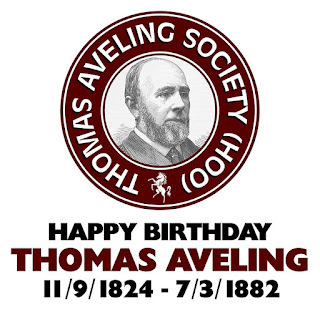 As co-founder of the Thomas Aveling Society (Hoo), I'd like to post the following birthday greeting. 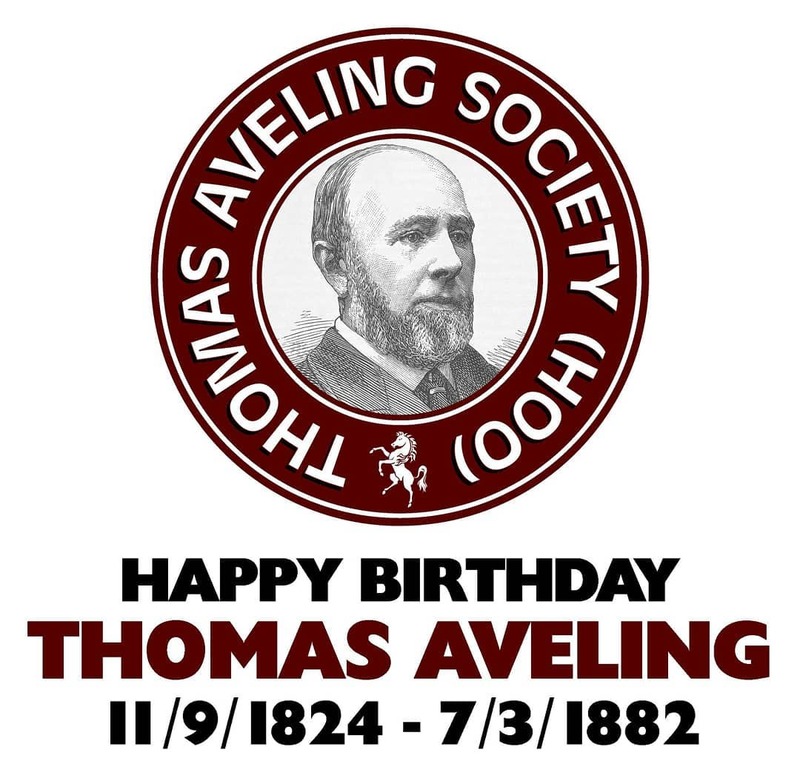 You can stay in touch with the Thomas Aveling Society (Hoo) by visiting the group's website here (where you'll find social media links). 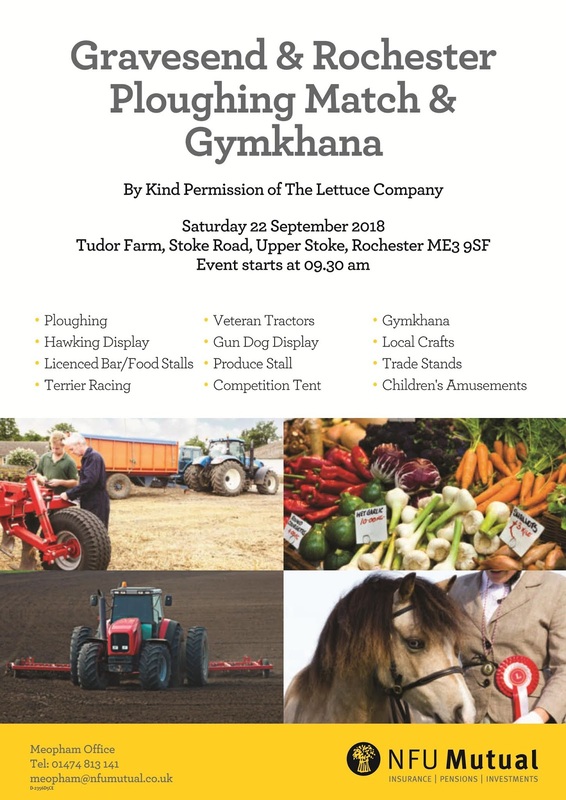 If you appreciate rural living and want to get up close to experiencing many ways of ploughing (conventional, vintage, steam and horses), you won't want to miss the annual Gravesend and Rochester Agricultural Association Ploughing Match and Gymkhana. It's well worth attending, whatever the weather! This year's event will take place at Tudor Farm (Stoke Road, Upper Stoke, ME3 9SF). Is it farewell to The White Horse? 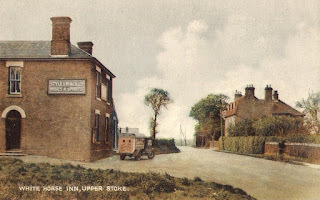 Perhaps it was only a matter of time before a proposal came forward to demolish The White Horse pub in Upper Stoke, but I’m still rather sad about the prospect. “MC/18/1736 - Outline planning application with all matters reserved for the demolition of existing public house and outbuilding and construction of three detached four-bed houses with integral single garage and a pair of garages linked detached four-bed houses with associated parking and landscaping - White Horse Public House, The Street, Stoke, Rochester, ME3 9RT”. I’ve mentioned The White Horse a few times on this website (click here, here and here for a few examples) explaining my links with the place. 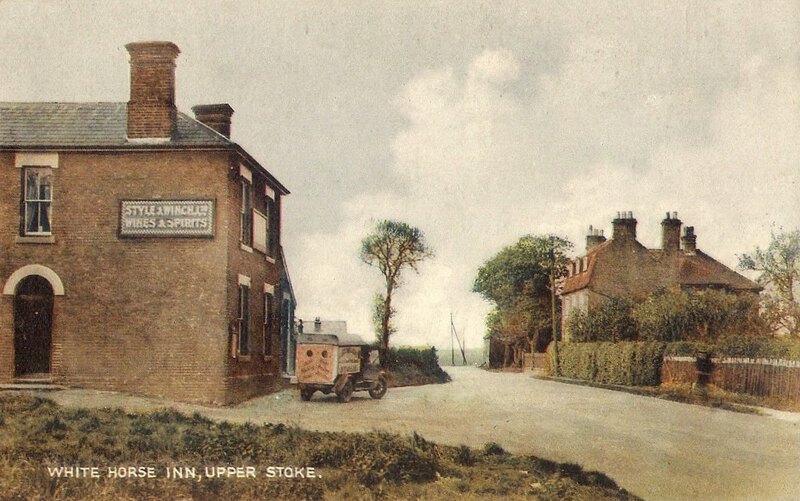 I love old buildings so it’ll be sad to see The White Horse disappear from the Upper Stoke streetscape. I hope I win the National Lottery this evening! 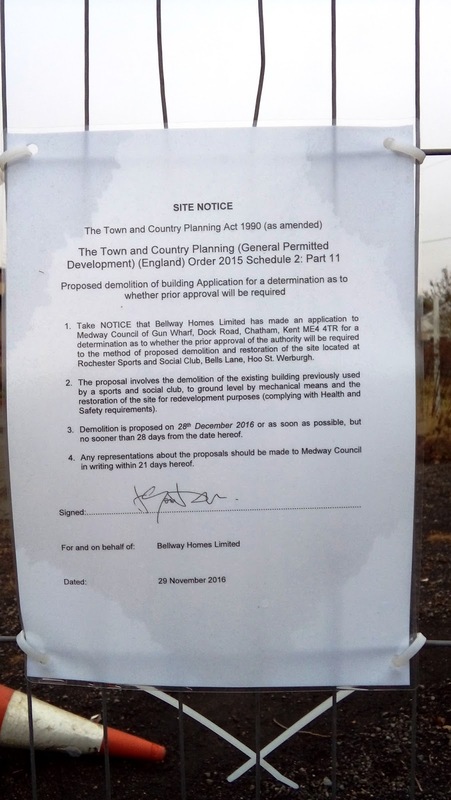 Click here to be directed to the relevant section on Medway Council's planning portal. 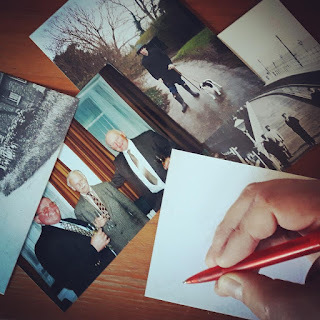 Nearly all of us have a box or two of old family photos tucked away in the loft, cellar or sideboard. These boxes usually provide a fascinating insight into family life - with a mix of old black and white images and colour photos with the odd Polaroid thrown in. But what happens to that treasured box of photos when we’re no longer around - do they get passed on to someone else in the family? Will they know who is actually pictured in all those personal memories? Well, I’m encouraging everyone to dig out their old photos and have a ‘family day’ to sort through them and to make a note on the back of each photo of who is pictured (and to add any other useful details). Each box of photos is a great source of social history - your own personal history archive. Who knows where our photos will one day end up, but at least if someone has made a note on the back - whoever is looking at them will know who they are looking at. Through the 'Get In Touch' section on this blog - I receive many requests for assistance with family history research, as well as others simply looking for more information about villages on the Hoo Peninsula. I always try responding as quickly as possible, but due to the nature of many of the requests - I can't always provide an immediate answer. I will be including some of the requests (particularly those relating to family history research) in my monthly local history article in the Village Voices Community Magazine (delivered to 15,100 properties on the Hoo Peninsula, Frindsbury, Higham, and Wainscott). This will enable the widest possible exposure and hopefully help with some of the requests. So, either through Village Voices or the contact section on this blog, please stay in touch. The centenary of the end of the First World War will be in November and many commemorations are being planned up and down the country. I’ll be including more details about these on this blog in the coming months. 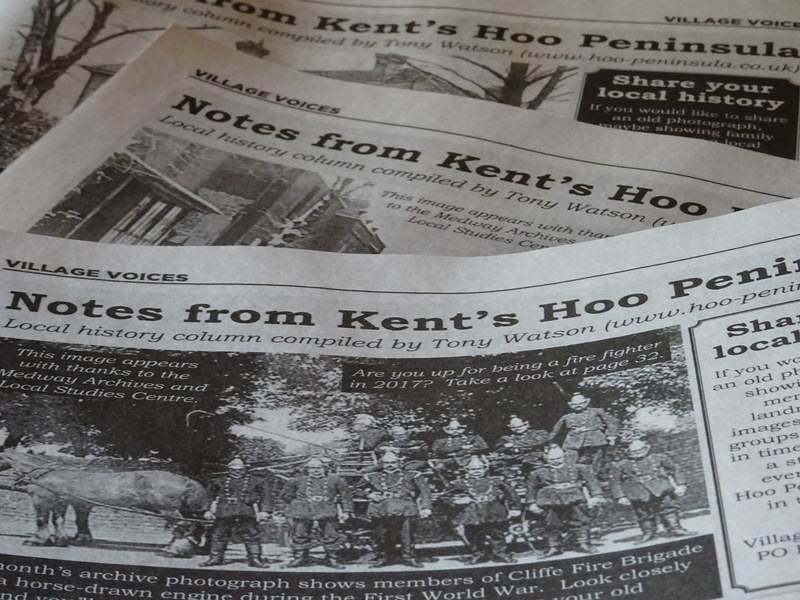 In the meantime, a local list of events, projects and activities to commemorate the centenary is being compiled by the quarterly Strood & Hoo Peninsula Times and the monthly Village Voices Community Magazine. The full list will be published in these two publications later in the year. 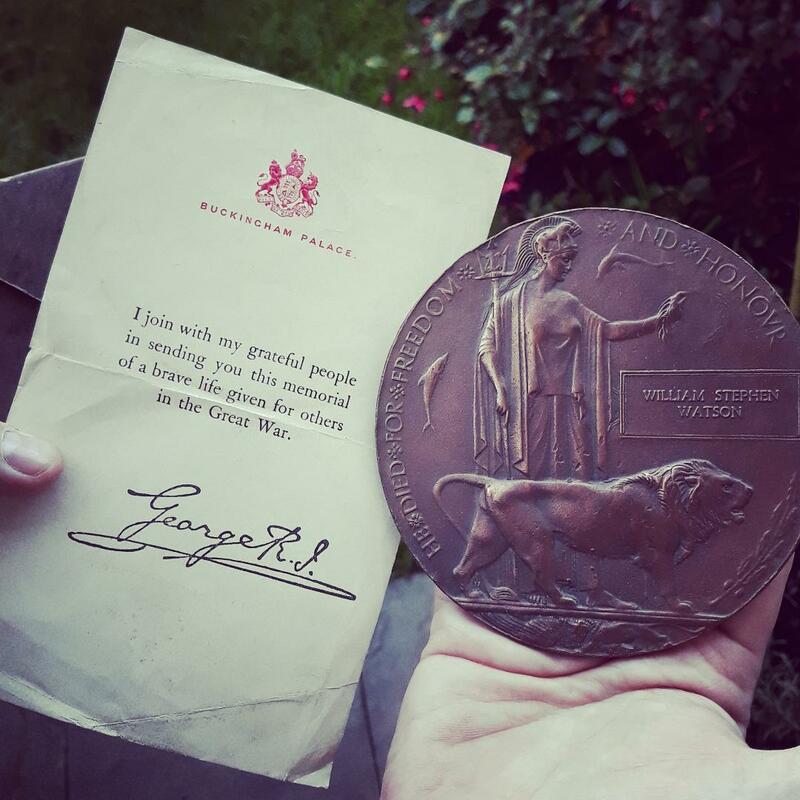 If representatives of local groups would like to ensure that their activities to commemorate the centenary of the Armistice is recorded on the list, it is essential for them to get in touch by writing to Village Voices Publishing, PO Box 692, Rochester, Kent, ME1 9LN. Or information can be emailed by clicking here. I will be regularly featuring items relating to the First World War in my local history column published in the monthly Village Voices Community Magazine. 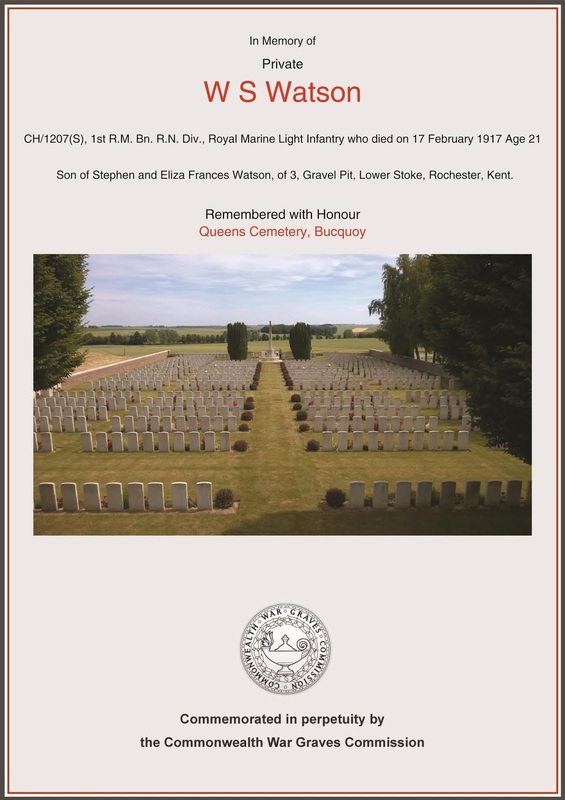 I'll also be sharing on this blog more research I have recently undertaken into the life of my ancestor William Watson (from the village of Lower Stoke), who was killed during the First World War. The Dutch Raid and more! With the 350th anniversary of the 1667 Dutch Raid on the River Medway being commemorated in June, don’t miss monthly guided walks at Grain Coastal Park (and take a look at some of the damage caused to the village church by raiding Dutch seamen). 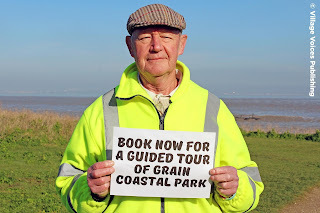 In the company of volunteer Michael Dale (a member of the Friends of Grain Coastal Park), pictured above, the walks offer the opportunity to get out and about in the fresh air and to learn more about our local history. There's lots to explore at Grain Coastal Park - enjoy! Medway Council announced earlier today that Robin Burfoot (Rochester Town Crier) sadly passed away yesterday (22nd March). Robin was a true gentleman – generously giving so much of his time and energy to helping many community groups and charities locally. I was privileged to meet him on numerous occasions – both in Rochester (when he was at work entertaining tourists and locals) and when he frequently visited the Hoo Peninsula – particularly Hoo Village Fun Day in 2013 and at annual shows organised by High Halstow & District Gardening Club. As an organiser of the Hoo Village Fun Day, I think our event would have felt very different without Robin’s input and involvement. 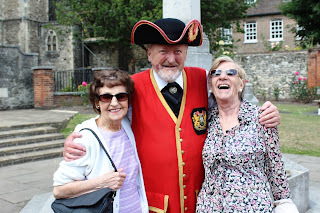 He really ‘worked the crowd’ and made sure everyone, young and old, had an enjoyable time, especially during the fun Town Crier competition and Strongman contest. Like many of those who met Robin over the years, I’ll never forget him or his sense of humour – he was a genuine and much loved local character. I send my condolences to Robin’s family. Since starting my monthly local history column in the Village Voices Community Magazine earlier this year, I have been overwhelmed with people contacting me in response to my requests for sharing information about the area and old family photographs. As well as residents from the Hoo Peninsula, I have also been contacted by those who live further afield (but who have a connection to the area). I will happily feature as many items as I can over the coming months, just keep getting in touch and be sure to include as many details (and photos) as you can when you do, as this helps greatly. It really is fascinating to learn so much about other people’s family history and discovering even more about our fascinating area (especially when old photographs are supplied). To get in touch, either use the contact panel (right) or send an email to the Village Voices Community Magazine by clicking here. Back in November 2011 I visited Arras in northern France to see the grave of a relative who was killed in action during the First World War. A resident of the small settlement of Stoke here on the Hoo Peninsula, William Stephen Watson was my great grandfather’s nephew. He was only 21 when he was killed, on 17th February 1917 during the Battle of Miraumont. With the passing of this centenary, I hope I will get the opportunity to visit Arras again in the near future. 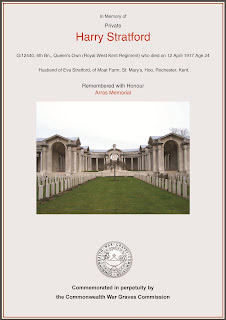 Click here to view the full account of my 2011 visit to Arras. I found out this week about the passing of long-time Hoo Peninsula resident Hazel Stockbridge. Back in 2010 I met Hazel several times at his home in High Halstow to discuss local history, particularly his own background, family and connections to the local community. Our discussions were recorded as part of my on-going film projcet to collect memories and stories about life on the Hoo Peninsula. I send my condolences to Hazel's family. 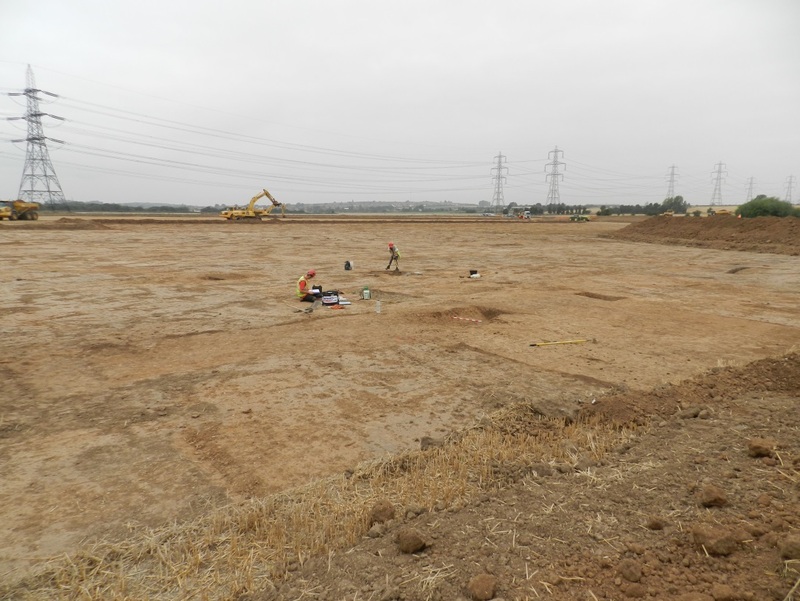 Ahead of gravel extraction from ‘Kingsnorth Quarry’ near Hoo, recent investigations by a team from the Museum of London Archaeology, carried out between September and October 2016, on behalf of Tarmac, found evidence of multiple periods of occupation. Archaeologists working on site, after the topsoil was stripped. Much of what was discovered appears to relate to features illustrated on 19th century maps, such as former field boundaries and the remains of orchards, although predictably the majority of the archaeological features were in close proximity to existing buildings or those shown on historic maps, including rubbish pits from the 18th to the early 20th centuries. 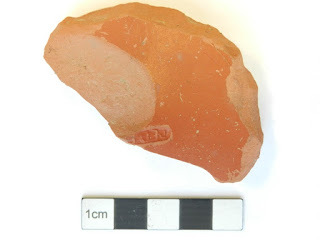 However, some pits contained fragments of medieval pottery – testifying to the continuous and lengthy occupation of the area. 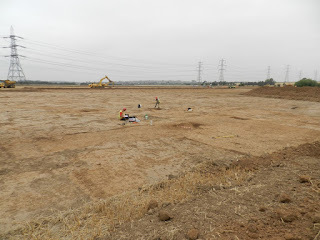 Many pits contained Roman or prehistoric pottery, suggesting that the area may have been more densely populated in the past, but due to the effects of ploughing over several hundred years, only the base of these older features survive. The only direct evidence for human occupation was recovery of partially disarticulated human bones mixed up in the lower fill of a pit, pictured below. 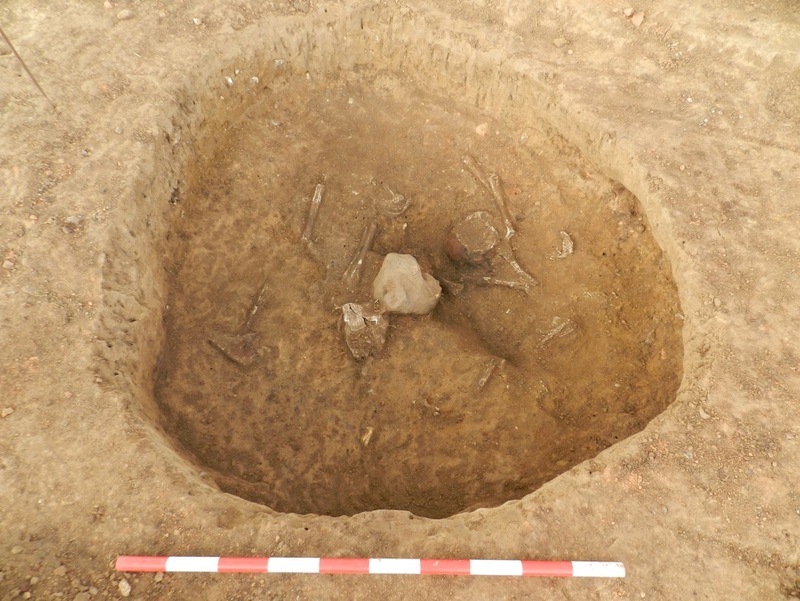 It is uncertain whether these remains represent one of more individuals or whether they were deposited as part of a deliberate, but unusual, burial ritual. Human bones in probable Roman pit. The remains were sealed under a layer of debris from a collapsed wattle-and-daub building. An adjacent pit also had a layer of wattle-and-daub debris containing Roman pottery. It is possible to speculate that these findings may represent the residents of a Roman settlement that might have succumbed to a violent and untimely end, although further analysis is needed by osteoarchaeologists to determine the age and gender of the remains and possibly the cause and nature of their demise. Probable Roman field ditch (marked in yellow). The Roman pottery recovered from the pits consisted of ‘Samian’ pottery, pictured below, a fine red tableware imported from Roman Gaul. This distinctive pottery suggests some of the Roman features may date from the 1st to 2nd century AD. Roman pottery from Gaul with maker’s stamp on base. Other findings discovered included prehistoric pottery, suggesting occupation in the area may stretch back into the Iron Age or Bronze Age periods. Information and images appear courtesy of Museum of London Archaeology, Andy Richmond of Phoenix Consulting Archaeology Ltd and David Brown of Tarmac. 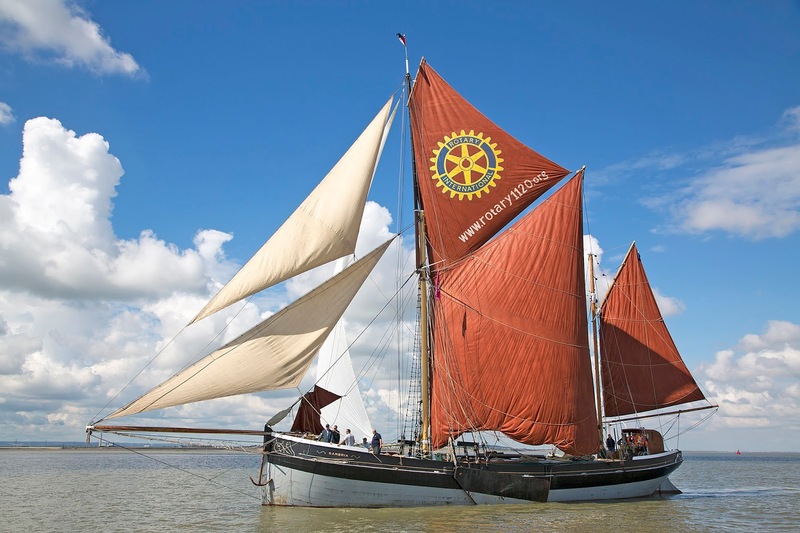 The most well-known of the iconic sailing barges to have sailed along the River Thames arrived at Hoo Marina in early September, for winter storage, as she marks the end of her 110th year. 90ft-long sailing barge Cambria was built at the F. T. Everard and Sons Limited boatyard at Greenhithe in 1906 and is famous for being the last British registered vessel to carry cargo under sail alone – the final cargo being 100 tonnes of cattle cake in 1970 when she was owned by the folksinger and bargeman Bob Roberts. Since being restored in 2007, thanks to £1.4 million from the Heritage Lottery Fund, Cambria has been able to provide life-changing experiences for hundreds of young people in association with the Sea Change Sail Trust as well as being hired out for private charters. Cambria has also been active in the annual programme of traditional barge match races. You can find out more about Cambria by visiting the Cambria Trust’s website here or take a look at the groups more up-to-date Facebook page here. Photograph appears courtesy of Rob Powell at the Cambria Trust. Following the recent purchase by Bellway Homes Limited of land at the top of Bells Lane in Hoo, previously occupied by the BAE Sports & Social Club (later known as The Village Community, Sports & Social Club and, prior to its closure, as the Peninsula Club), demolition of buildings on the site is about to commence. According to a notice on the perimeter fence the buildings could be demolished tomorrow (28th December) or thereabouts. It will mark the beginning of a process involving potentially hundreds of new homes being built in this part of Hoo, although at the time of writing I have not seen a formal planning application. My own memories of this site are relatively recent. 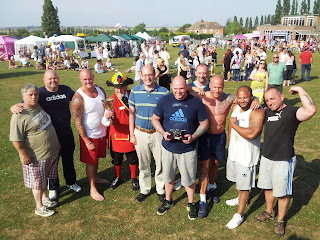 Back in 2013 I was one of the organisers of the semi-successful Hoo Village Fun Day. We welcomed special guests Cllr. 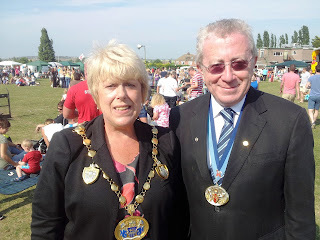 Josie Iles (then the Mayor of Medway), Mark Reckless MP and Rochester Town Crier Robin Burfoot, and we enjoyed many attractions, including the fabulous Big Sing Choir (under the instruction of T Jae Cole), a strongman contest and a helicopter flypast. It was an exhausting day. It is sad knowing that this once popular facility, including its double recreation ground, will not be hosting such events ever again. Fun Day photographs appear courtesy of the Village Voices Community Magazine. 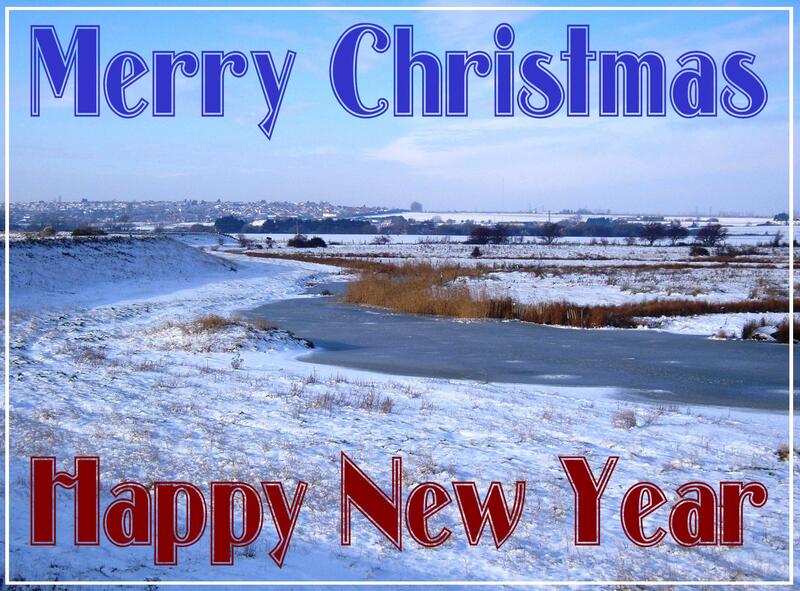 If you'd like to see how festive the Hoo Peninsula landscape looked at this very same time back in 2010, click here for some photographs. I popped into Taggs Coffee Shop in Hoo today and had a good chat with my old mate Tom Taggart. He told me all about a fun evening he's planning at Taggs Wine Bar on New Year's Eve. If you’re looking for somewhere fun and local to go on 31st December, Taggs Wine Bar is the place for you! You'll be able to enjoy the last few remaining hours of 2016 with host Tom and a popular group called Sold on Soul, who'll belt out many classic soul, funk and disco tunes, from 9pm. This group has performed at Taggs before and were well received. Tickets are £15, just pop to Taggs (Church Street, Hoo, ME3 9AH) to get yours, but don't leave it too long. The UJ Community Partnership is a community-based organisation with the objective of helping local residents gain/learn new skills as well as generally seeking to reduce levels of social isolation. 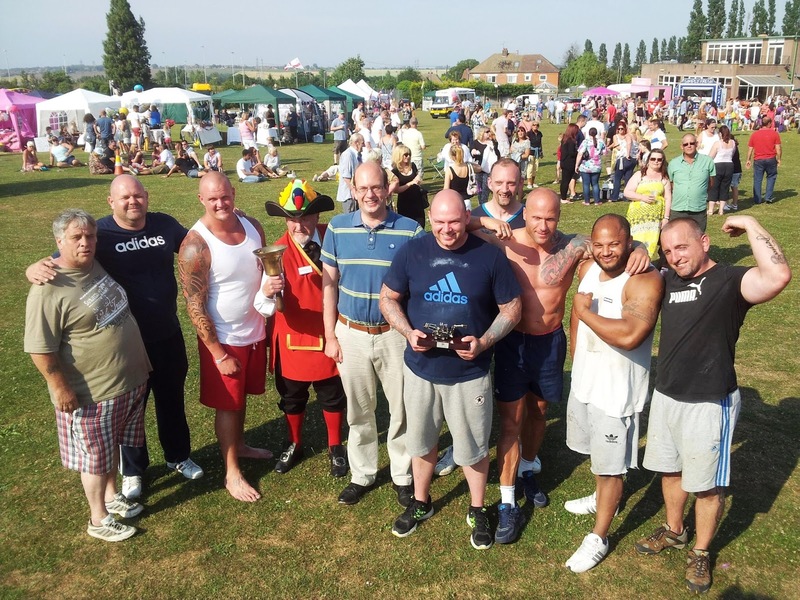 From learning something new by attending training and personal development courses, or making new friends by attending social events, the UJ Community Partnership has helped many residents from across the Hoo Peninsula since it was formed in 2003. 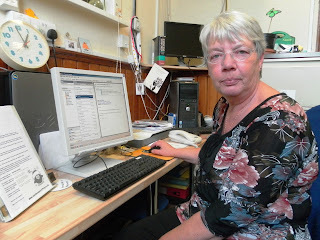 The long-established and much loved group is run by Veronica Cordier, who works hard to ensure the group’s survival. Funding is always at the top of Veronica’s agenda – making sure the group can afford to offer new training courses and other opportunities for residents, as well as more routine expenses, such as heating, equipment, facilities and running costs. With everyone tightening their belts, it has become more difficult to find funding, so if you run a local business and are able to offer funding support of any amount (it all helps), please get in touch with Veronica by phoning 01634 271807, or write to Veronica Cordier, UJ Community Partnership, The Chapel/Grain Library, Chapel Road, Isle of Grain, ME3 0BZ. Next month the UJ Community Partnership is offering residents training/familiarisation workshops on using a tablet - particularly handy if you receive one for Christmas! Book your place by phoning 01634 271807. 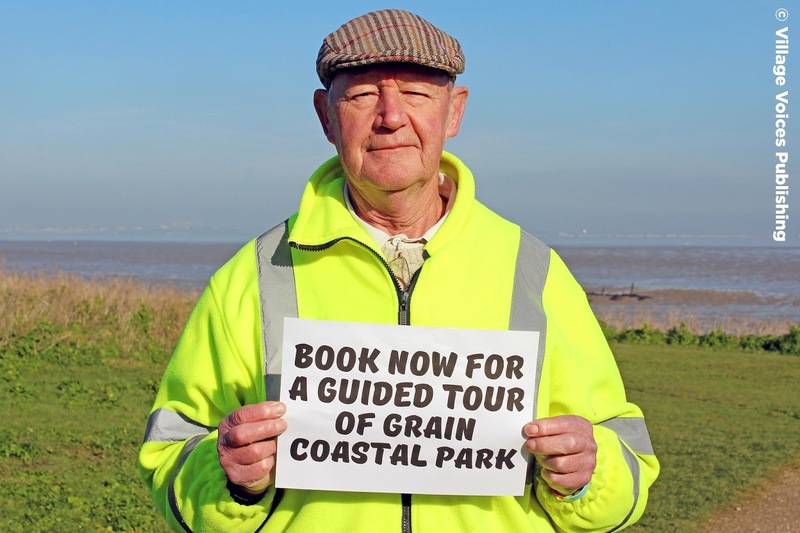 I visited Grain Coastal Park last weekend and bumped into my old volunteering colleague Michael Dale. Michael is now a leading-light in the park’s Friends group – a group of volunteers (mainly residents from the Isle of Grain) who spend many hours each week working hard looking after this increasingly popular and vast open space. 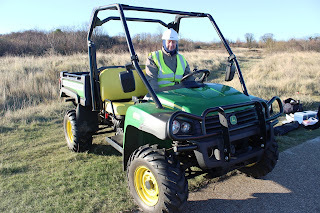 The Friends of Grain Coastal Park group has gone from strength to strength since it was created back in January 2012, following a successful community project undertaken by the Kent Wildlife Trust throughout 2011, in collaboration with St. James, Isle of Grain, Parish Council. Those early project sessions were lots of fun and very interesting. 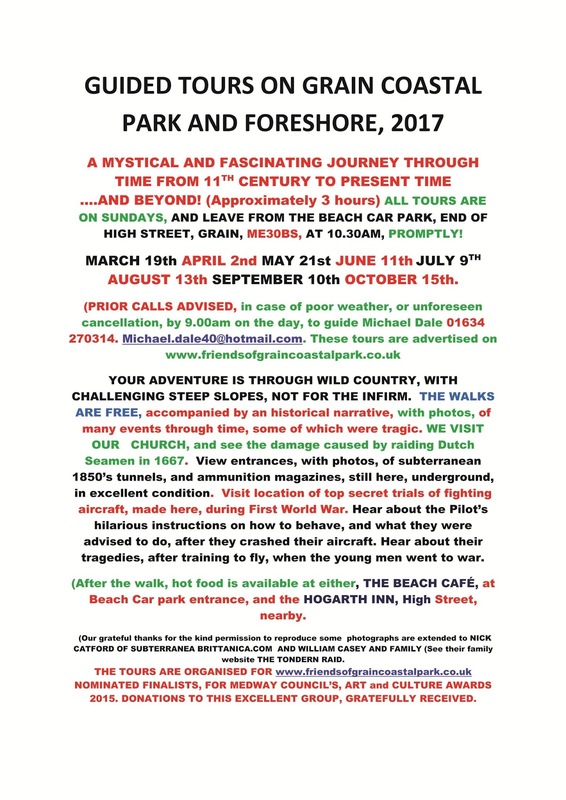 Michael and his volunteer colleagues have spent considerable time creating many great walks for visitors to enjoy. In the noticeboard at the main car park (at the end of High Street, ME3 0BS) you will find a detailed map of the park showing all the walks. If you’re looking to burn off some Christmas calories this weekend or during the festive period, or would simply like to get out of the house and enjoy fresh air and great views of the Essex coast and Isle of Sheppey – pop along to Grain Coastal Park. 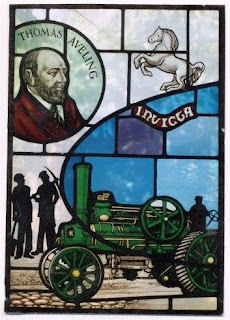 Formed in 2014, the Thomas Aveling Society (Hoo), also known as TASH, is hard at work developing a project to formally recognise the life, work and professional achievements of notable agricultural engineer Thomas Aveling (co-founder of the Aveling and Porter Company). 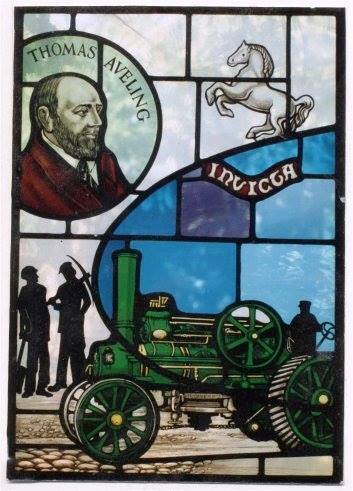 Thomas was born in Cambridgeshire in 1824, although he and his mother moved to Hoo during his childhood. 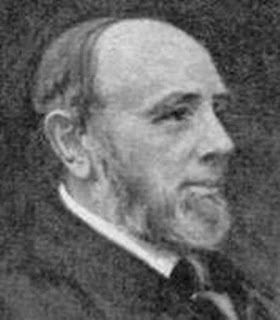 As well as his business interests, his relatively short life saw him become active in the community – serving as Mayor of Rochester, a trustee of the Watts’ Charity and governor at the Sir Joseph Williamson’s Mathematical School. He died at Boley Hill House in Rochester in 1882 and is buried in the churchyard at St. Werburgh Church, Hoo. 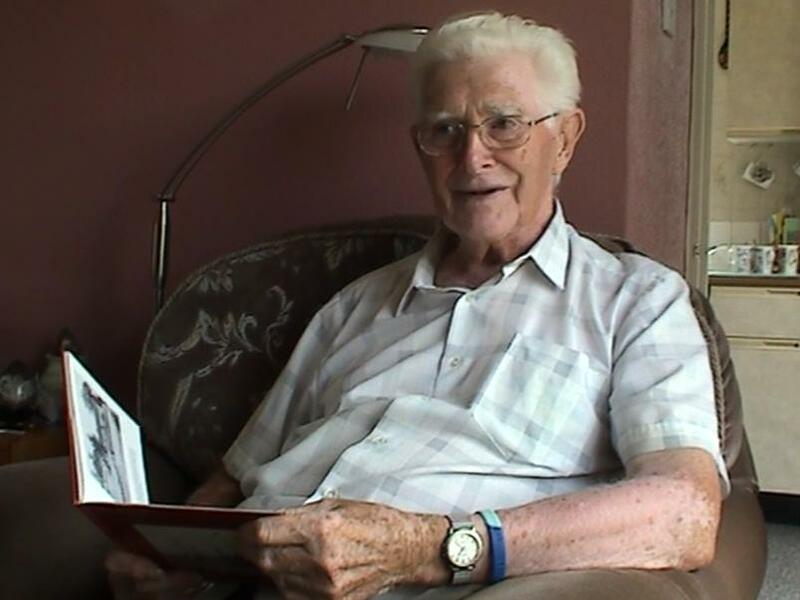 TASH volunteers (I am one) hope to install an interpretation board in Hoo and erect name plaques at places associated with Thomas and his family. 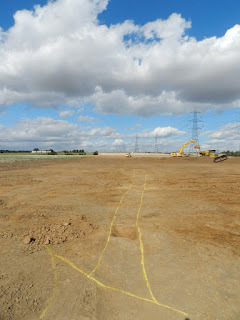 Work commenced a while ago on researching his life, compiling information and producing/submitting grant applications. Back in 1982 an event was held in Hoo to mark the centenary of his death. This included steam rollers (and enthusiasts from around the country) driving through the village and along Church Street and Vicarage Lane (to St. Werburgh Church). If you have any old photographs of this centenary event, I would very much like to hear from you. If you have hard-copy photographs – they can easily be scanned and returned, just get in touch by emailing me here. 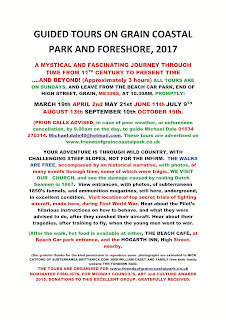 I regularly receive emails and letters from people wanting to promote events and bring to my attention interesting items of local news and history. If you live on the Hoo Peninsula – the best way to ‘spread the word’ about an event coming up, share news from where you live or to promote a local business – is in the dedicated Village Voices Community Magazine. 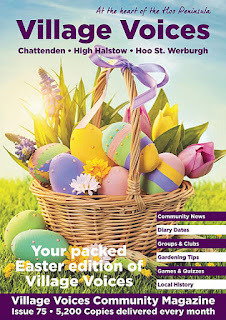 The publication is produced and delivered every month by a dedicated team of local people. 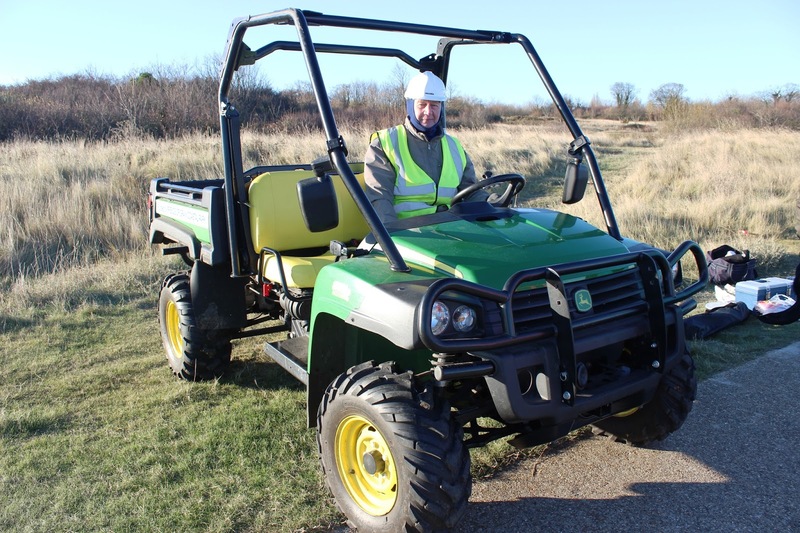 It is delivered across the whole of the Hoo Peninsula – even the most remote properties in each parish! Village Voices is a great magazine, with lots of community news, diary dates, updates from community groups and a superb collection of adverts from many of our local businesses. 13,500 copies of Village Voices are delivered every month, to Allhallows, Chattenden, Cliffe, Cliffe Woods, Cooling, Frindsbury, High Halstow, Hoo Marina Park, Hoo St. Werburgh, Isle of Grain, Spendiff, St. Mary Hoo, Upnor and Wainscott. You can visit the Village Voices website by clicking here, where you will also find information about their quarterly publication The Strood & Hoo Peninsula Times (32,600 copies delivered by Royal Mail every quarter). You can get in touch with Village Voices by emailing here. Step up to oppose a massive game-changer in Hoo! It’s (almost) that time again for battle plans to be decided upon and drawn up to oppose yet another mad-cap idea of building even more houses in Hoo – destroying what I thought were precious greenfield sites! 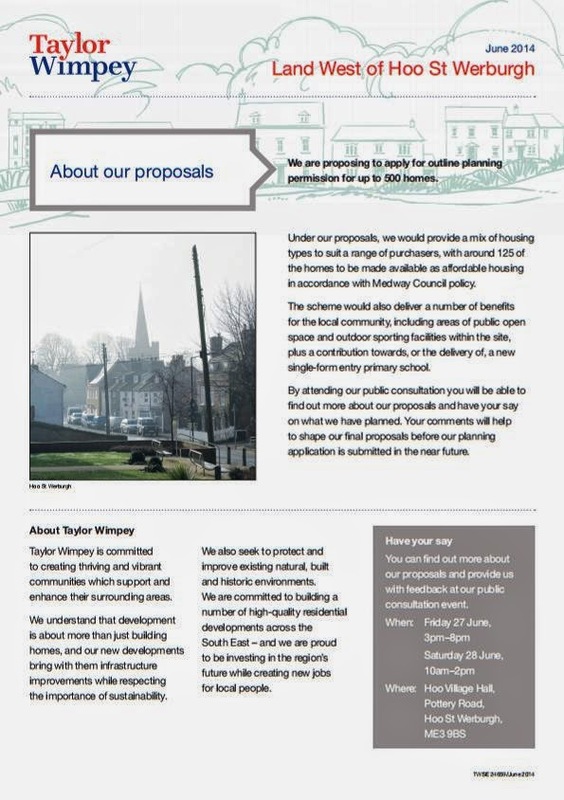 Although housing developer Taylor Wimpey are yet to submit a formal planning application for ‘their’ land west of Hoo, a leaflet about their proposal claims they are looking to build up to 500 houses. Taylor Wimpey recently submitted a ‘scoping opinion document’ to Medway Council’s Planning department, number MC/14/1391. The purpose of this is to inform an Environmental Impact Assessment, which will eventually accompany an outline planning application. 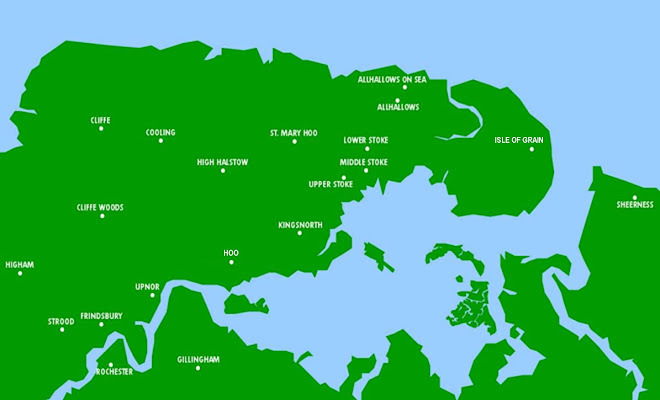 For me, the idea of building west of Hoo is a massive game-changer. Not only would it destroy the existing ‘entry landscape to the Hoo Peninsula’ of open green fields, but it would just about join the villages of Hoo and Chattenden together, albeit with a road acting as an insignificant separation. 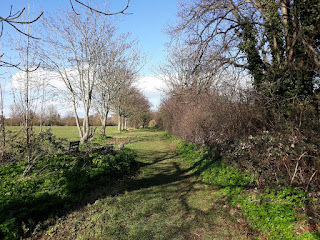 For what it’s worth – I feel a proposal to build 500 houses west of Hoo is completely unacceptable and would destroy something very special forever. 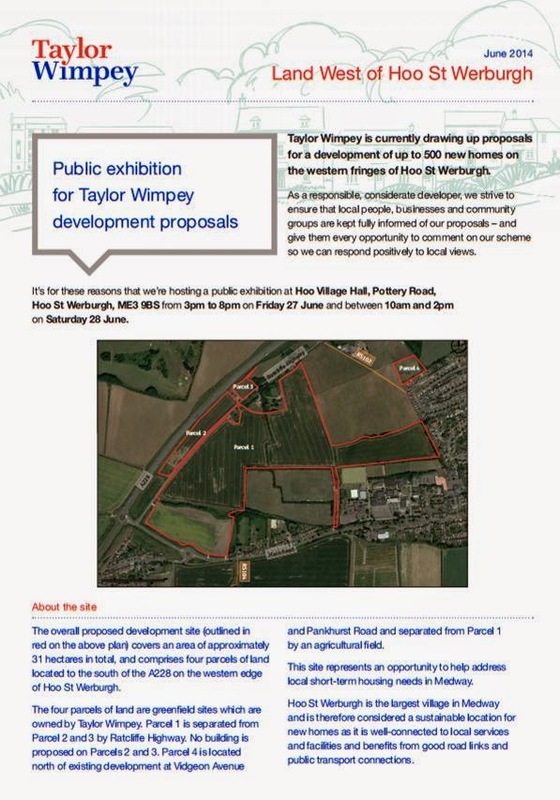 I will certainly add more information to this blog when more details are known about the contents of the planning application, but in the meantime – it is worth attending the exhibitions planned by Taylor Wimpey this week. They will be held at Hoo Village Hall (Pottery Road) on Friday 27th June from 3pm to 8pm and on Saturday 28th June from 10am to 2pm. Images on this website may not be re-produced, or used elsewhere, without prior permission. Please get in touch for details. Copyright Tony Watson. All Rights Reserved. All images featured on this website may not be re-produced, or used elsewhere, without prior permission.